A Magical Summer of Reading! Reminder: Keep Kids Reading All Summer Long! ​I hope you are enjoying your summer with your family and that you are keeping reading a top priority. 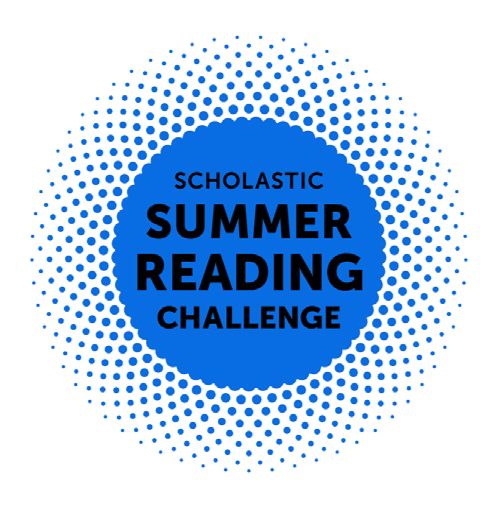 The Scholastic Summer Reading Challenge is underway, and our school is doing well so far! This is a friendly reminder to keep encouraging your child to read and log his or her minutes at scholastic.com/summer. If we log the most minutes of any participating school in our state, we will earn the title of “Best in State,” and will be featured the 2019 Scholastic Book of World Records. Harness the power of choice! Kids are more likely to finish a book they pick out themselves, so visit a library, bookstore or your own bookshelves, and let your child choose a book to read. Research shows 89% of kids ages 6–17 agree their favorite books are the ones that they have picked out themselves. But sometimes, kids need help finding books they like. Research shows parents underestimate the degree children have trouble finding books they like. Only 29% of parents say their children had trouble finding books versus 41% of kids ages 6–17 saying “I have trouble finding books I like.” Take the time to get to know their interests and ask their teachers or the local librarian for some titles that are age-appropriate and guaranteed to excite even the most reluctant reader. Keep reading together – kids love it! Research shows 87% of kids ages 6–11% of kids say they love(d) being read aloud to at home. Set a goal and see how many books you can read together in one summer—remember, read aloud minutes count towards your reading goal! Be a reading role model every day with a favorite picture book, comic book or even newspaper article. Everything counts. Need inspiration? Find new ways to read all summer long. Taking books on trips and vacations (56%). If your child forgot his or her summer reading username, please contact FES Librarian, Mrs. Mock, directly ( Jennifer.mock@gmsdk12.org ). For more articles, tips, and free resources for parents, visit scholastic.com/parents. For more games, book recommendations, videos and free activities for kids, visit scholastic.com/kids.